Mr Yoosuf Nazeer, who lives in Sri Lanka, said that “Legal Ethics” in the United States is generally understood to primarily apply to lawyers, while codes of professional responsibility also apply in a derivative sense (directly) to non-lawyers who work with lawyers, such as paralegals or private investigators. In the United States, the practice of law is regulated by the governments of the individual states and territories. As a whole, federal law does not control legal ethics. Each state or territory has a code of professional conduct dictating rules of ethics. These may be adopted by the respective state legislatures and/or judicial systems. The American Bar Association has promulgated the Model Rules of Professional Conduct which, while formally only a recommendation by a private body, have been influential in many jurisdictions. The Model Rules address many topics which are found in state ethics rules, including the client-lawyer relationship, duties of a lawyer as advocate in adversary proceedings, dealings with persons other than clients, law firms and associations, public service, advertising, and maintaining the integrity of the profession. Respect of client confidences, candor toward the tribunal, truthfulness in statements to others, and professional independence are some of the defining features of legal ethics. Some U.S. states, including New York, require applicants seeking to become attorneys to have taken a course in professional responsibility during law school. Lawyers who fail to equip themselves with the necessary knowledge and skills to handle electronic discovery risk violating ethics guidelines that are slowly but steadily evolving to keep pace with technological changes. Technology has irrevocably changed and continues to alter the practice of law in fundamental ways.” As technology evolves, lawyers are confronted with new challenges pertaining to the preservation of data, the proper maintenance of privileged and confidential material, and a daunting learning curve that accompanies the growth of electronic discovery. These ongoing developments present ethical challenges, which require a reexamination of the duty of competence and a careful view of the litigator’s responsibility with respect to confidential information, including metadata, that is produced electronically. This article examines the parameters of the duty of competence in the e-discovery context and briefly outlines the rules that delineate the proper and ethical management of confidential information. The American Bar Association’s Model Rules of Professional Conduct (the Model Rules) are generally the starting point of any discussion involving legal ethics in the electronic discovery context. Almost all states follow the Model Rules as the basis for their state ethics rules. In August 2012, the ABA Commission on Ethics 20/20 (the 20/20 Commission) recommended, and the ABA House of Delegates adopted, updates to the ABA Model Rules “to reflect the realities of the digital age.” These amendments accompany the inevitable reality that lawyers cannot rely entirely on others to understand technology that is used in the e-discovery process. Instead, lawyers practicing in the digital age have an ethical obligation to understand those aspects of technology that are relevant to the matters they handle and that are designed to protect confidential information. Although the comments to Rule 1.1 do not define the scope of “relevant technology” that falls under the purview of competence, counsel must, at minimum, understand the client’s information management systems, the tools used to preserve electronic data in advance of litigation, and the software and hardware programs that are used to review and process electronically stored information (ESI), including applicable back-up systems. Counsel must also remain current on technologies that create and process data as well as related tools that are used to process and produce such data. While the duty of competence requires lawyers to have a “firm grasp” on these technologies, the 20/20 Commission also acknowledged that some matters “may require the use of technology that is beyond the scope of the lawyer’s expertise,” thus requiring the assistance of nonlawyers with more proficiency with certain technologies. Accordingly, counsel can satisfy the duty of competence by taking diligent and reasonable steps to understand the technology while using outside consultants when the technology requires special expertise. The lawyer is not required to possess special training in these technologies to be considered competent. “Attorneys who handle litigation cannot ignore the requirements and obligations of electronic discovery.” In recognizing these obligations, competent counsel must have a fundamental grasp of her client’s computer systems, software, storage, and back-up facilities. In all cases, counsel should carefully consider her preservation obligations and make good-faith efforts to impose a litigation hold that satisfies them. Counsel must engage in the meet-and-confer process in good faith and, when possible, coordinate a reasonable and proportional discovery plan with opposing counsel. Finally, counsel must be aware of appropriate protocols for searching, processing, and producing data without disclosing privileged or confidential information. When in doubt, counsel should enlist the assistance of outside experts to guide through various steps of the preservation and production process. By taking these steps and working with opposing counsel to solve problems, counsel can approach e-discovery with suitable competence and skill. The drafters of revised Model Rule 1.6 acknowledged that “lawyers cannot guarantee electronic security any more than lawyers can guarantee the physical security of documents stored in a file cabinet or offsite storage facility.” Comment 18 thus sets forth a list of nonexclusive factors to be considered in determining whether a lawyer’s efforts to prevent disclosure are reasonable, including the sensitivity of the information, the likelihood of disclosure if additional safeguards are not used, the cost of using additional safeguards, the difficulty of implementing the safeguards, and the extent to which the safeguards adversely affect the lawyer’s ability to represent clients. This analysis recognizes that lawyers can apply security measures that are consistent with their needs and the circumstances of their law firms, provided the measures are reasonable. This is consistent with existing case law before the adoption of Model Rule 1.6. In cases involving complex issues pertaining to the preservation, processing, and production of ESI, cooperation is both necessary and, arguably, ethically required. While courts routinely expect lawyers to cooperate in discovery-related matters, that obligation is heightened when a case involves voluminous data or sophisticated technology to aid in the processing of that data. In this context, vigorous advocacy is enhanced, not undermined, by thoughtful cooperation and problem solving between counsel. When lawyers confuse the duty of loyalty with the duty to advocate by taking unreasonable, aggressive steps in e-discovery litigation, they are hurting their clients and enhance “the legal culture of adversarial discovery that is driving up costs and delaying justice.” Counsel should be mindful of the duty to cooperate because it is anticipated that courts will enforce this obligation more aggressively in e-discovery litigation into the future. Metadata is “embedded information contained in electronic documents” or “data about data.” Metadata includes information about the author of the data, the time and date of its creation, modifications, changes, standards used, and embedded tracked changes. By searching for metadata, it is possible to identify changes that have been made to a document, including information that has been added or deleted. Examples of metadata include tracked changes on Word documents, internet browsing histories, and properties’ features on document management systems. As with all electronic discovery, metadata often has significant evidentiary data. It is also easy to destroy or manipulate, through negligence or design. Lawyers routinely send and receive documents that include metadata. Some of that information is confidential. Accordingly, metadata provides an opportunity for lawyers to disclose confidential information to third parties without client consent. Such a disclosure, however unintentional, can be very damaging. Similarly, it is possible to “mine” data provided by opposing counsel in search of metadata that is often confidential. This practice and the handling of metadata raise unique ethical questions. The explosion of technology has changed litigation in many ways. To keep up with these developments, the ethical rules have been modified or applied in their original form to create new and more specific ethical guidelines for lawyers. 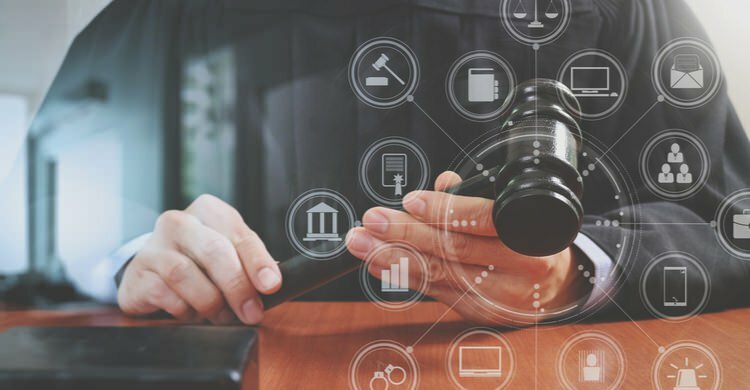 Today, litigators must understand the mechanics of electronic discovery, from preservation to production, and have a strong command of their client’s information systems. Lawyers must be vigilant about the disclosure of confidential information, inadvertent or otherwise, and the consequences of such disclosures with respect to metadata. Finally, lawyers must abandon the adversarial model of discovery in favor of open communication and cooperation. With these tools in hand, counsel and their support staff of paralegals, legal assistants and secretaries are in a much stronger position to advocate for their client in a competent, professional manner. Here at Northwest Career College, our Paralegal Studies Program students experience a plethora of courses, to include Legal Ethics. Students review and discuss the Model Rules of Professional Conduct (MRPC), as well as, the Nevada Rules of Professional Conduct (NRPC). We also provide students with various cases involving ethical violations and disciplinary action imposed upon the lawyer and paralegals, whereby students review and research applicable case law and Rules of Professional Conduct. It is an important aspect of their studies and overall success as they venture out into the legal field as Paralegals. Previous Blog: Massage Therapy for the Benefit of Treating Children with ADHDNext Blog: What is an EOB?